I look forward to the day where we all can honestly say the things on our mind without worrying it being insulting towards any race. We are like walking on land mines whenever we quip something. Everyone feels so touchy about the comments made about each other races. When we are truly Malaysian, we would no longer worry about what we say being taken out of context in relation to race. For example, on certain issues in regards to race or religion that needs to be addressed, DAP parliamentary leader Lim Kit Siang had better not say it; while if it was PKR’s Anwar Ibrahim who voiced it, it’s ok. I look forward to the day where any leaders, especially the opposition ones, can say anything without it being framed in the racial and religious mode. 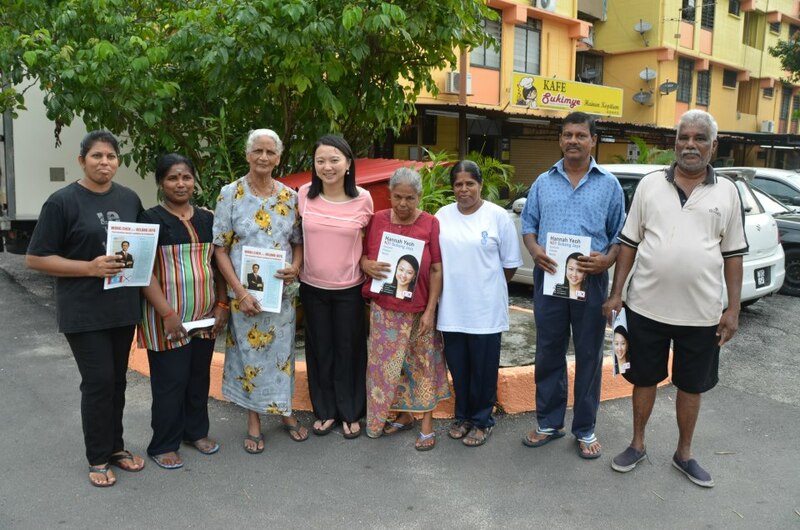 As one of the DAP ADUNs and party leader, my actions carry a lot of weight and speak loud. We (DAP reps) are always being branded as anti-Islam and anti-Malay by the other side. To give a glimpse of the additional burden we carry, I have to be careful with what I say and tweet to the public and media and ensure it is embracing and inclusive of every group, so as not to appear to be Chinese centric. We have to walk the extra mile to be who we claim to be. DAP has often being bogged down by its past Chinese-dominated image. Things have improved tremendously. An example can be seen during the party convention proceedings; in the past a short speech or debate would take a considerable amount of time due to translation. Now it’s fully in English or BM. Our challenge and target now is to appeal to the young Malay segment. To do so, we must leverage on our leaders’ strength. One such person is NG Suee Lim, the ADUN for Sekinchan who speaks BM and Javanese fluently. We should try to feature him more in the rural Malay. The other leaders such as Zairil (Bukit Bendera MP) who would appeal to a broader segment of society needs to be feature more prominently to allay the Malays apprehension of DAP being a Chinese party. To unify the nation, we have to focus on the Malay issues as that’s the last bastion of for UMNO. MCA and MIC are already knocked out of the race. UMNO’s trump card is to play up the racial and religious issue amongst the Malays and their bogeyman is DAP. It is crucial for DAP to win over the Malays. 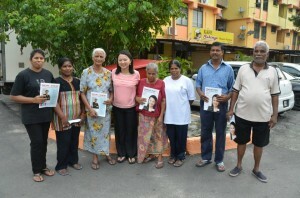 DAP has to shoulder the burden and do more to reach out to them. We need to walk the extra mile to win the Malays support on ourselves. DAP must not be seen as a Chinese wing of PR. For a change we should stop attacking MCA and Gerakan. By doing that we are seen as their replacement. It’s time we take on UMNO more often ourselves, talking about Malay related issues even. How do we break this deadlock? The key is urbanisation which BN is fearful of. They know that the urban folks are more informed and demanding; that’s why we see them pouring more resources into the rural areas. For PR that means more information dissemination work need to be done in the rural areas. As a mother of two children, I am worry for my children’s education and future. Everything I do now involves or is related to saving money for children’s education; I have to worry for the next 20 to 30 years on how to save that money. Malaysia’s education system has deteriorated badly. We need to focus on improving the country’s education system. PR needs to present an alternative education blueprint for the people. In this part I think PR needs to work harder. In our ordeal to get our first child to be registered as Malaysian on her birth certificate, my husband and I has had to endure much brickbats from various segment of the society. After being turned down on our request for our first child, we had approached the home affairs minister. We were told to appeal the decision. We wrote in to the home affairs ministry, prime minister’s office and national registration department. Today, more than two years later we have not received any reply or acknowledgement from them. As a result of our actions, we incurred the criticism of many people and lost some votes as well. From the Chinese, they asked me why was I not proud of my background. From the Indians they queried me if I was ashamed of marrying an Indian husband. From the Malay cybertroopers, we were accused of ethnic cleansing. From the Christians I was accused of not being submissive to my husband! But we are steadfast in what we want to achieve for Malaysia. If we want to see the change in Malaysia, we have to be willing to pay a price for it. Zulkifli Noordin said many nasty things about us. People like Zulkifli Noordin and Ibrahim Ali are not dim-witted as some supposed by making the divisive comments they often made. They know they have grassroot support. 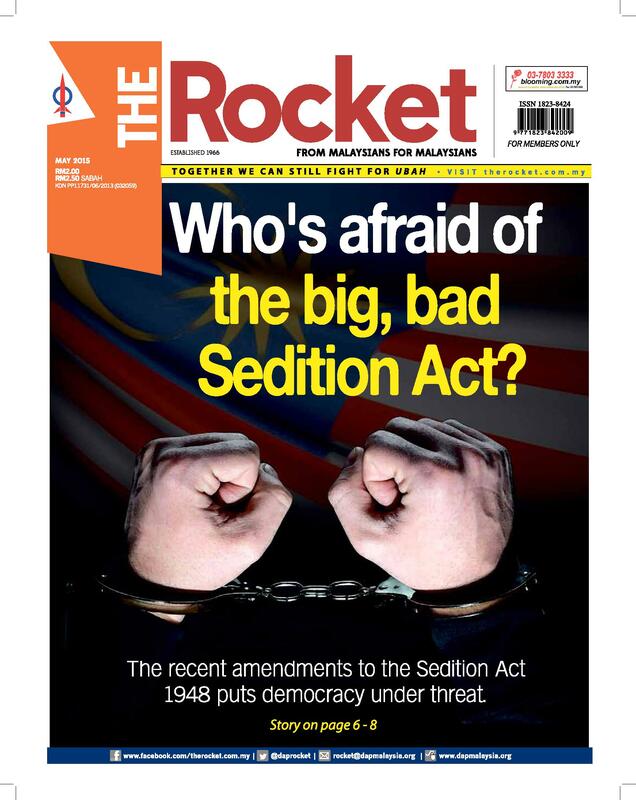 In order for them to lose their sting, Malaysians collectively must change to be more united. We need to know what we want before we can change. This article was written by admin on Monday, October 28, 2013 at 7:25 pm. You can follow any responses to this entry through the RSS feed. You can leave a response, or trackback from your own site. I remember being in Secondary school and having a melting pot of friends. In fact my best friend is Malay and I am Indian, she and I met when we were 11 yrs old, we are 44 this year. Just recently, we met for lunch. We were eating at a Malay restaurant and were happily catching up on news when I realised that we were getting some pretty strange looks. It took us a while, but the reason was, I was the only Indian in the establishment and we were talking in English the whole time, laughing and joking like loons! Since when has the sight of two besties having a good time even needed a mention, just because we were not of the same race? Later that day, I asked my children about school culture with regards to mixed races. I was pretty shocked that there is a very definite sense of cliques based on nothing more than race. Aren’t we all Malaysians? Living in the same country, attending the same schools, eating each others food? Although, I also found out that class parties nowadays have two separate spreads of food – Muslim and Non-muslim and the students don’t share! I love Malay and Chinese food!! It’s rather sad to see this.